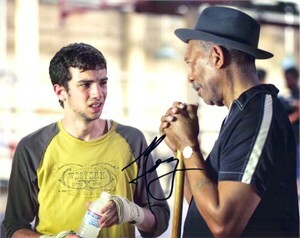 8x10 photo from Million Dollar Baby autographed by the legendary Morgan Freeman, who won the Best Supporting Actor Oscar for this performance. ONLY ONE OF THIS POSE AVAILABLE FOR SALE. With certificate of authenticity from AutographsForSale.com.